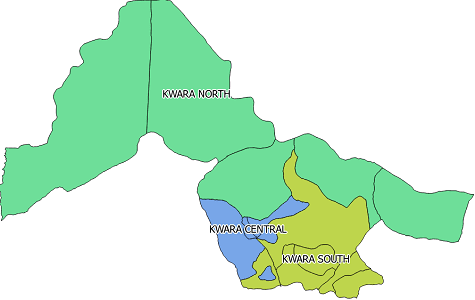 Youths from the Kwara North Senatorial District under the aegis of All Progressive Youth Forum has come out in very strong term to condemned the attitude of PDP led government in the state which has been under the leadership of Senator Bukola Saraki over the way and manner Royal Fathers from the area has been treated because of the forth coming general elections. This was what formed part of the press conference organised by the Kwara North chapter of All Progressive Youth Forum in ilorin today. According to the spokesperson for the forum, Zakari Baba Yusuf, he said the purpose of the press briefing was to expose and tell the world the demeaning manner in which traditional rulers from northern part of the state have been subjected to in the hands of Bukola Saraki led PDP government in the state. He said: " youths from the Kwara North is deeply concern on the pretentious and unwarranted manner our royal fathers, the traditional leaders of Kwara north are being frequently invited to ilorin the state capital, by the state and on the instructions of Bukola Saraki, the tyrannical and oppressive leader ever had in the history of Kwara State, all in an effort to turn the traditional leaders against the will of the people. He went further, "We want to make it categorically clear that we are aware of the fact that this frequent invitation of our royal fathers to state capital by PDP led state government is not unconnected to the forthcoming 2019 general elections, as this has been one of their treacherous elections strategies for the past sixteen years and that is the bases of today press conference, we want to let the people of Kwara North and the state in general or even the entire nation be aware of the level of embarrassment the traditional leaders of our area have been recently subjected by the Bukola Saraki led PDP in the state, all in desperate moves to win the 2019 elections which they knew they have lost. Yusuf explained that among the tactics adopted by Bukola Saraki in collaboration with some people which he refers to as traitors in the Kwara North are total contempt for the traditional institutions and the people they led, denying them their entitlements, and above all threatening to dethrone them if they fail to do his bidding. "The same Saraki have for the past sixteen years deceived us, impoverished us and out of heartlessness deliberately kept us underdeveloped in the area of education, employments, infrastructure, health facilities amongst others.